Dominik Köpfer, Adrián Menéndez-Maceiras and Andrea Arnaboldi also advance to the semi-finals of the Slovenia Open. The defending champion of the Zavarovalnica Sava Slovenia Open is out of the tournament. 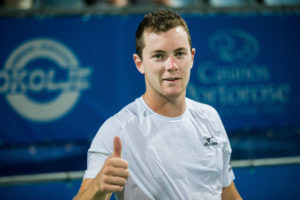 Constant Lestienne of France rallied past 2017 Portorz winner and top seed Sergiy Stakhovsky of the Ukraine 3-6, 6-2, 6-1 in Thursday’s quarterfinal of the €64,000 ATP Challenger hard-court event. The unseeded Frenchman won 66 per cent of his first service points and broke his opponent six times to prevail after one hour and 57 minutes. Lestienne will next face Dominik Köpfer, who continued his good run of form. In another night session, the 24-year-old German battled past Gian Marco Moroni of Italy 6-4, 3-6, 6-1. Köpfer outpointed his rival 84-75 to appear in his second semi-final of the season after two hours and four minutes. The World No. 263 finished runner-up to Jason Jung at the San Francisco Open earlier this year. Adrián Menéndez-Maceiras also advances to the stage of the final four. 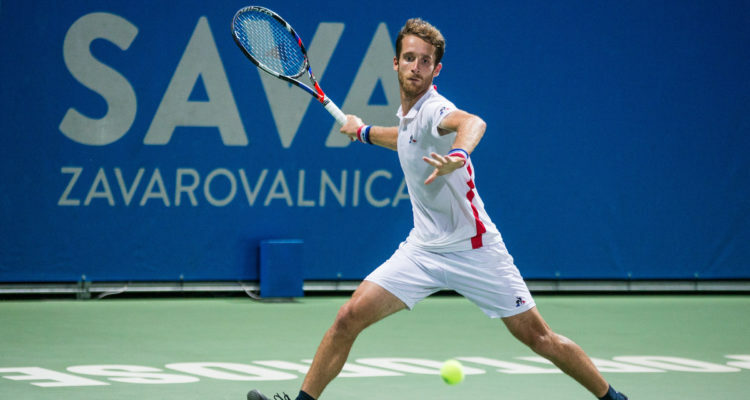 The 32-year-old Spaniard arrived at the Slovenian Adriatic seaside resort after reaching the final on home soil in Segovia and knocked off No. 5 seed Salvatore Caruso from Italy 6-2, 7-5. Menéndez-Maceiras didn’t face a break point, capitalizing on three of his own chances to finish the encounter after one hour and 39 minutes. “The tournament is very much in my heart, I feel very well here in Portorož. In recent months I have been working on a new program and the result has already become visible,” the third seed from Marbella was happy afterwards. This entry was posted in ATP Challenger Portoroz, ATP Challenger Tour and tagged ATP Challenger Tour, Constant Lestienne, Dominik Köpfer, Portoroz, Slovenia Open.